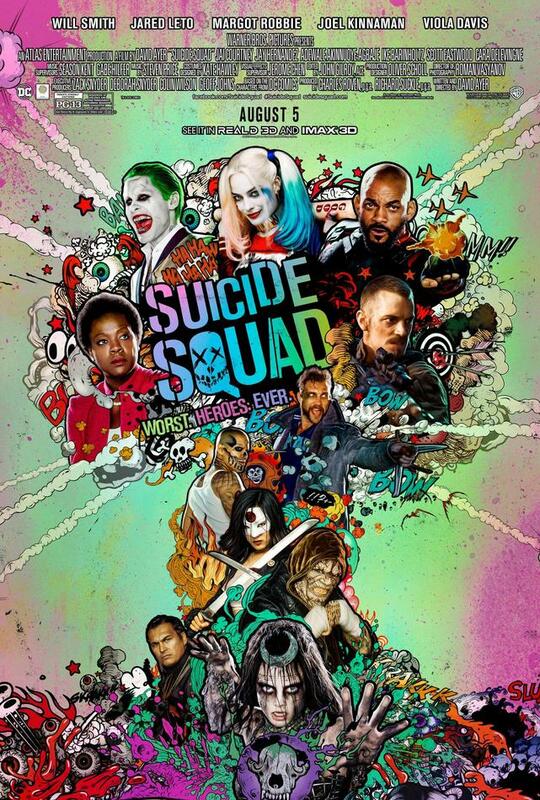 Despite the disparity between the trailers and the actual movie, Suicide Squad is not a bad film by any means. Personally I feel it's a solid third instalment in the DC cinematic universe that started with Man of Steel and followed up with Batman v Superman. Unlike Batman v Superman there is a coherent story with a particularly nice little plot twist in the middle that doesn't mess with your head. It's just a cool moment that you know the squad isn't going to be all smiles about. There's nothing here that's so cringe worthy you'll wish it wasn't in the film (No murder Superman, no 'Martha' moment, no murder Batman). The story builds on the emergence of Meta-Humans in the DCU and pushes that arc into next year's Justice League movie without it feeling shoe horned in like it did in BvS. 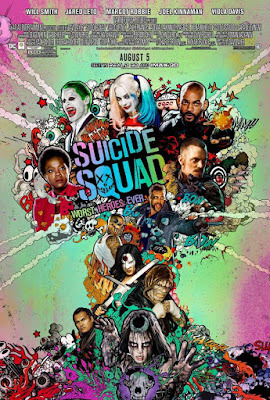 Other reviewers have said Margot Robbie as Harley Quinn is the clear star of the film but honestly, I thought everyone turned in great performances, with no one particularly standing out over the other. Harley is great, of course, with some of the funnier lines but I also enjoyed Will Smith's Deadshot and Jay Hernandez's as Diablo. All three of them get the most backstory through flash backs. Jared Leto's Joker is certainly a different take on the character from any previous live action version. I must admit, I kind of like what he's doing. It's a calculated and organised Joker who feels much more like a crime boss and less of a psychotic clown. I'm certainly interested to see Jared reprise the role in future DCU films. Any reviewer that says this film is a mess is straight up wrong. It's not perfect by any means but its storyline is fairly easy to follow and leads to as logical a conclusion as any Superhero film can that deals with magic and other unexplained forces. My only nit pick is that their first mission doesn't really feel like a Suicide Squad mission. This team is supposed to get thrown under the bus if they fail. i.e. all the carnage and destruction would be attributed to them. I just don't think anyone would believe it if that happened. Plus, how they eventually take down the bad guys, could have been done by any half decent military unit. Overall, I did enjoy the film. It could have done with a little more character set up initially to help us care a little more about each squad member and, perhaps, not be so obvious about who's head would 'pop' first but I was engaged and interested all the way through. I've heard there is a sequel on the cards. If so, I hope they'll look at the marketing for this film and pick up the pace to match it, whilst keeping the edgy comic styling and making it go all the way through. Continue with the great song choices too (a film with a sound track full of classic and contemporary pop songs is always a treat in my book). Warner Bros and DC Entertainment haven't yet knocked it out of the park so far with their DCU but each film continues to have really strong elements, particularly strong characters, that I'm interested to see more of. I feel if they just stick to their guns, trying to do their own thing and not bowing to the pressure of trying to emulate Marvel Studios, they'll find their audience and get to a place where Superman can once again crack a smile.